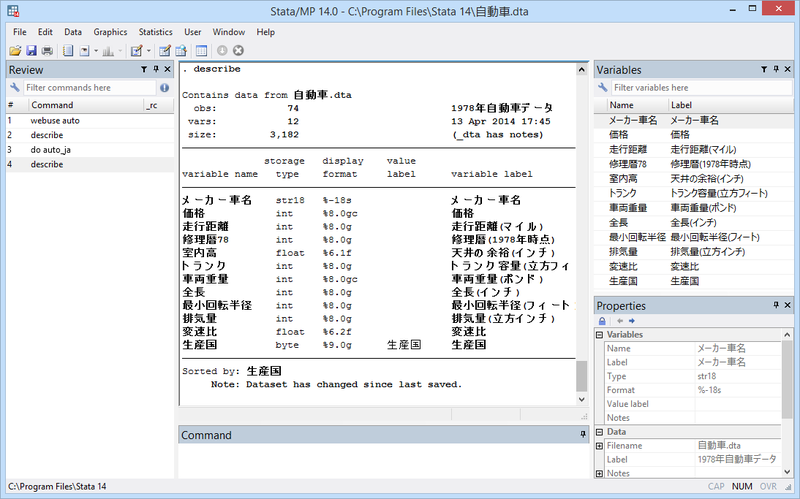 There’s a new release of Stata. You can order it now, it starts shipping on June 24, and you can find out about it at www.stata.com/stata13/. Well, we sure haven’t made that sound exciting when, in fact, Stata 13 is a big — we mean really BIG — release, and we really do want to tell you about it. Rather than summarizing, however, we’ll send you to the website, which in addition to the standard marketing materials, has technical sheets, demonstrations, and even videos of the new features. And all 11,000 pages of the manuals are now online.